An ambitious project takes on problems at the polls. 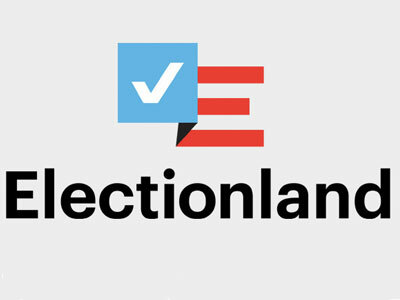 When ProPublica launched Electionland Sept. 8, it did so with 100 local news organizations who had signed on to work with ProPublica to locate, uncover, verify and report on early and Election Day voting issues Americans may encounter at the polls. The scope of what ProPublica and its partners are aiming to accomplish requires as much manpower as possible, so the launch was accompanied with a sign-up for interested journalists and organizations to join the project. Since then, that original group of 100 has grown to 250 outlets. To get it done, ProPublica will act like a command center, receiving and passing on tips to journalists across the country. The journalists will be tasked with visiting voting locations in their area to determine if there’s a story there and getting out the information if there is. Stories and reporting will exist within the domain of partner publications, but ProPublica will also promote the stories through its own social media channels. The reporting will begin as early voting rolls out in states that have it, leading up to a major Election Day effort where, in conjunction with and located at the CUNY Graduate School of Journalism, ProPublica will create a “pop up newsroom,” as Willis describes it. But instead of projecting winners and pushing out fancy digital and hologram displays of counties lit up in red and blue, this newsroom will be dedicated to locating, assigning and fact-checking stories on issues like long lines at the polls, problems with machines, harassment and voter roll purges. The moving pieces in the Electionland project extend far beyond journalists covering polling places nationwide, and ProPublica’s other project partners enable everyone involved to cover voting issues as thoroughly as possible. “The partners in different ways add layers of expertise that help us either be more confident about determining what we’re seeing, or expand the range of signals that we can look at,” says Willis. The USA Today Network provides manpower and local expertise from newspapers across the country, Univision extensive coverage of key regions. The First Draft Coalition, a collective of journalists with deep social media experience, will help “separate the wheat from the chaff” when determining the authenticity of news coming from social media sources. “Their involvement makes us a lot more confident that we can actually do that,” says Willis. The WNYC Data News Team brings with it a collection of well-sourced local radio stations. The Lawyers’ Committee for Civil Rights’ Election Protection project brings with it an established channel through which voters can report problems with voting. Google News Lab will help ProPublica sort through relevant Election Day search trends. Google is also a partner on a related project, Election DataBot, a campaign research tool that allows users to track candidates’ polling information, campaign finance reports, voting record and Google search popularity. ProPublica’s ElectionLand project is the opposite of a zero-sum, beat-the-competition style of journalism, calling on the participation of many to expand the limits of what could be done with an unwieldy amount of stories and data, human and social media derived.